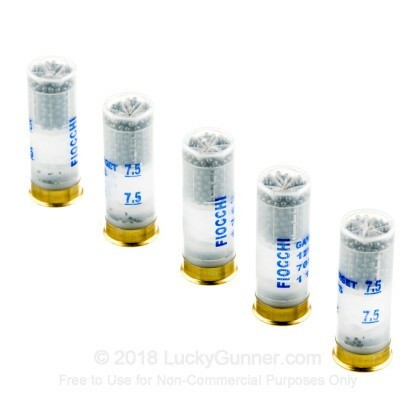 Fiocchi has been around for over 200 years, and as the oldest firearms and ammunition manufacturer in Italy, they have a reputation like none other. Still operated and owned by the original, founding family, even in other countries, Fiocchi pours their heart into each round made, insuring that only the best product possible is created. 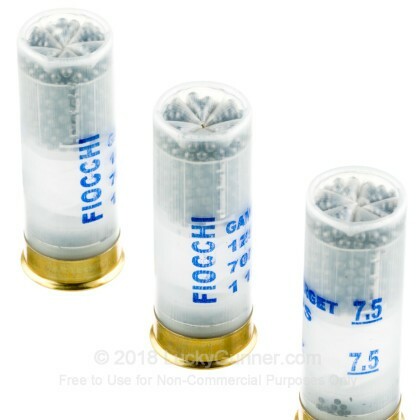 These Game and Target rounds from Fiocchi are perfect for hunting and clay shooting. 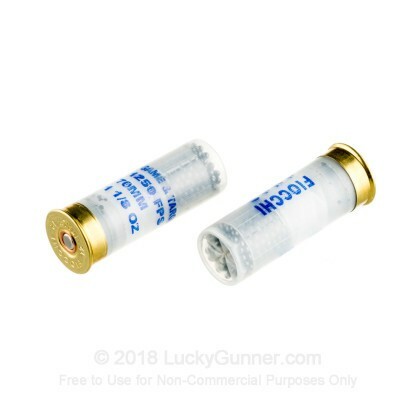 Slay every clay target in your path or put that delicious small game in the frying pan with these reliable, #7 1/2 shot shells with a great, consistent pattern. 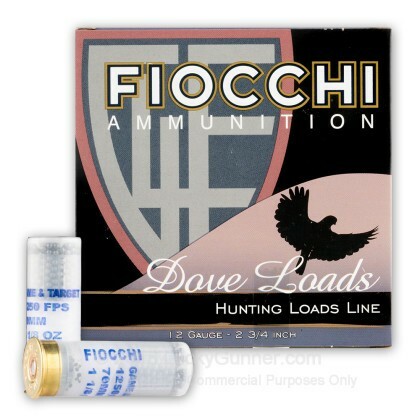 By shooting these 2 3/4", 1 1/8 ounce, 12 gauge Fiocchi shells, you are sure to succeed in your shooting endeavors. 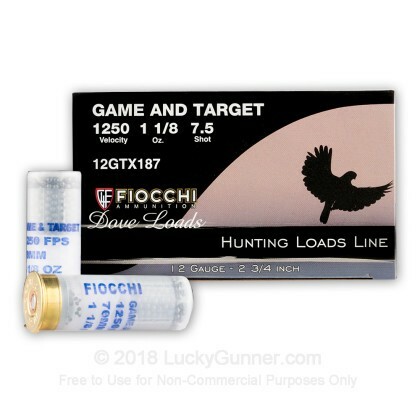 We also have this 12 Gauge - 2-3/4" 1-1/8 oz. 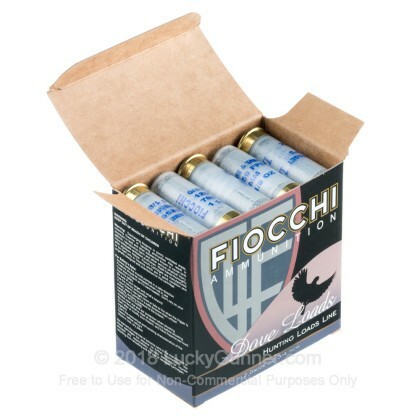 #7-1/2 Shot - Fiocchi Game & Target - 25 Rounds ammo in stock in a smaller quantity.